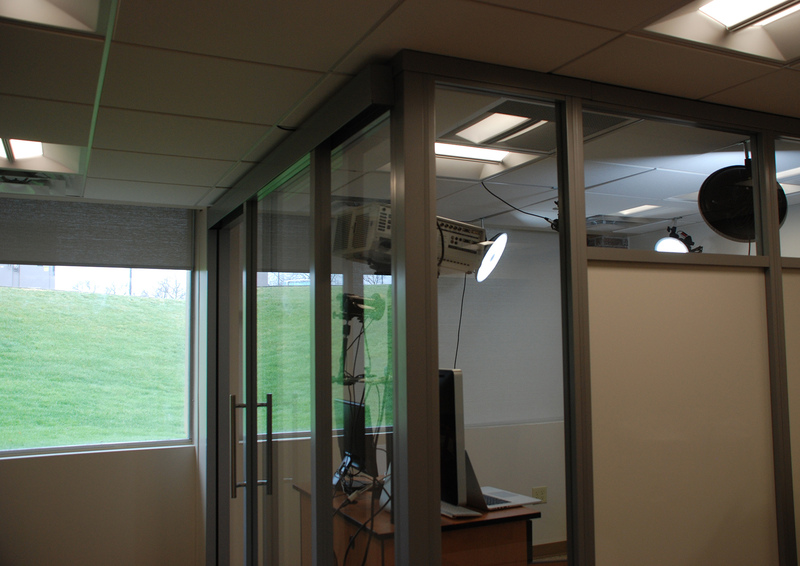 Starting on April 3rd, students, faculty and staff are able to take advantage of the quick and painless video production capabilities of the One Button Studio as the New Kensington campus has just become the resource’s newest home. 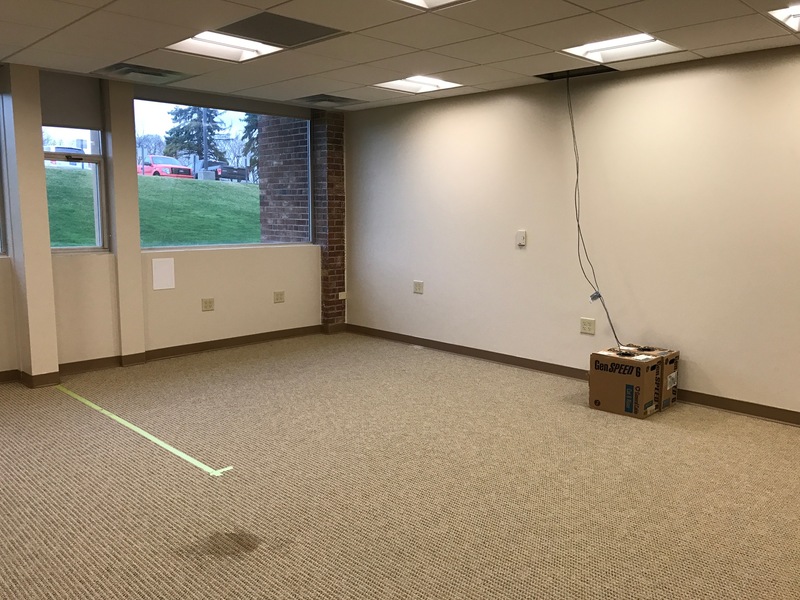 Work began on the One Button Studio at the start of the Spring term, first with transforming the Quiet Study Room in the Knowledge Commons with a fresh coat of paint, new ceilings and updated lighting. Next came glass walls with integrated whiteboard surfaces for users of the OBS and visitors to the collaborative work areas immediately outside. 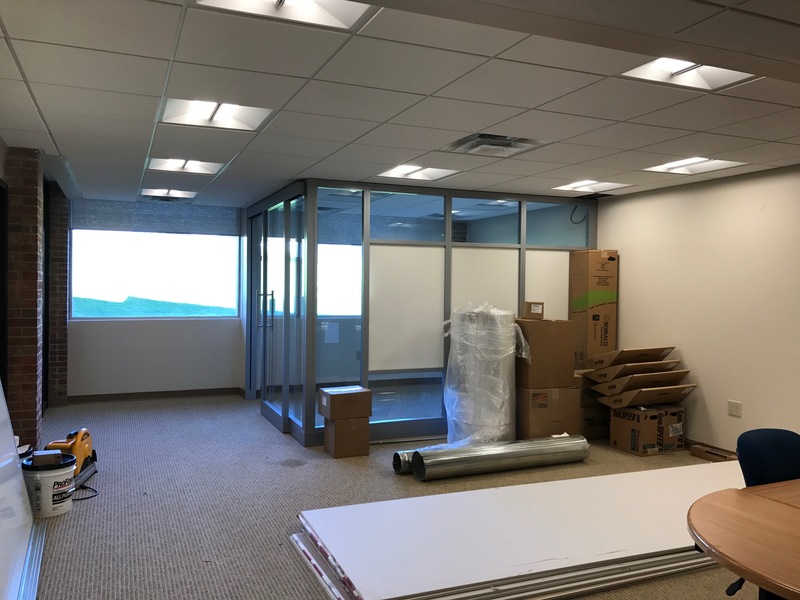 Last, Media Commons consultants arrived to set up the technology in the space, calibrate lighting and adjust presentation practice gear to ensure great results for the first crop of users. With everything in place, the One Button Studio’s day to day operations have been handed over to the very capable IT office and bookings can be made via the Help Desk. Special thanks to everyone who helped with the project: Kevin Snyder, Jim Rounce, Jason Bush, Deborah Sillman and Kevin Churik, in particular.